Manosplint™ thermoplastic splinting material softens when heated to allow the therapist to create a customized splint. Manosplint Carolina material allows for exceptional control during the fabrication process, especially if the patient is unable to assist with positioning. The perforated surface allows for air circulation without sacrificing rigidity. 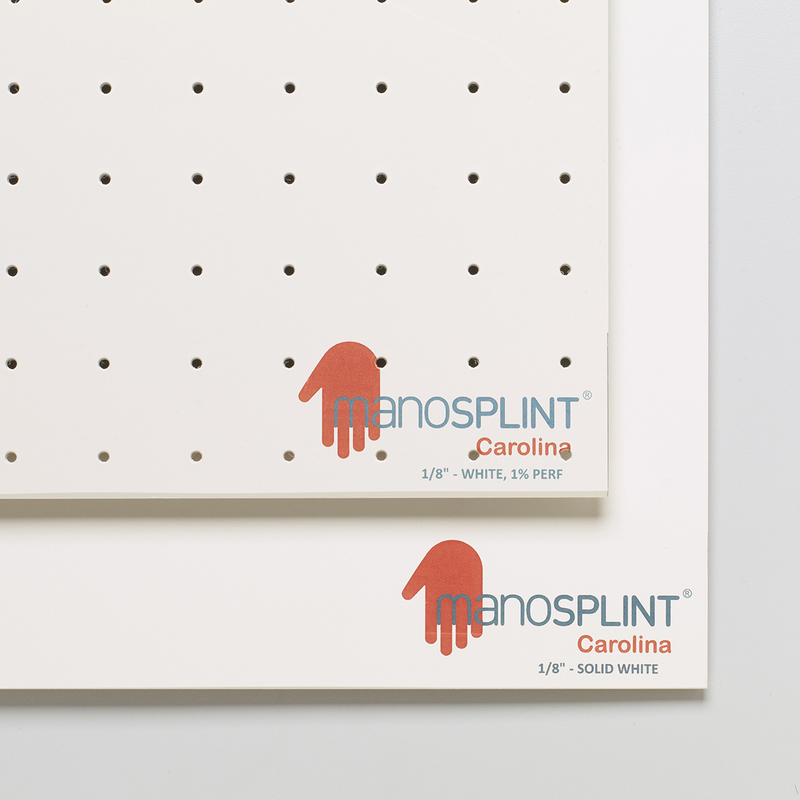 Manosplint Carolina material allows for exceptional control during the fabrication process, especially if the patient is unable to assist with positioning.